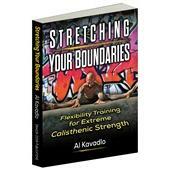 Al paints such an invigorating story in this book and it really sums up the three books(Raising The Bar, Pushing The Limits, and Stretching Your Boundaries) for body-weight training. Zen is the answer when it comes to working out and Al portrays this in the perfect way. 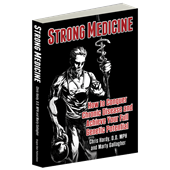 How sure are we that Zen Mind, Strong Body (paperback) will work for you? 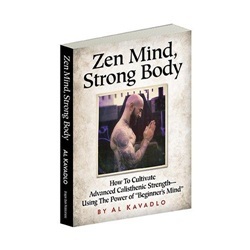 Simply fill out the form below and put Zen Mind, Strong Body (paperback) to work for you right now. Obviously, we would go out of business if Zen Mind, Strong Body (paperback) didn't work, the way we said, right? With the promise of a full refund if you're unsatisfied, you have nothing to lose by trying Zen Mind, Strong Body (paperback). Go ahead and try it today. PART III — DO YOU DO CARDIO? Not likely! A perfect zen-ten! Thanks Al! Rated 10/10 Start your program the right way! The old adage "Give a man a fish and he'll be satisfied for 1 day, but teach a man to fish and he'll never be hungry again" is a good metaphor for this book. To simply follow another program without proper preparation is unlikely to give you the long term results that you need. Instead, this guide aims to give you the tools you need to continue making progress on an ongoing basis. In a similar vein to "We're Working Out! A Zen Approach to Everyday Fitness", Al covers the necessary foundations behind developing elite strength and conditioning. Rather than overly focusing on this program or that exercise, the book is aimed at encouraging readers to take responsibility for their own programming - and that is a very good thing indeed. Zen Mind, Strong Body is truly insightful with regards to being detailed without boring the reader to death. Al is open with his life and how he approaches it, I wish that I had his mindset 30 years ago but I know it's not too late. I am 54 years old and changed my lifestyle habits a year ago without the book , but now I can go even further with the change to better my overall goals of fitness and health. This is the second book that I purchased from Dragon Door that was written by one of the Kavadlo brothers and will not be the last. Thanks Al and Danny, I tip my glass to the both of you! Rated 10/10 Al Kavadlo is an admirable individual. I've bought less than 10 books in the last 10 years & 3 in the last 3 months. 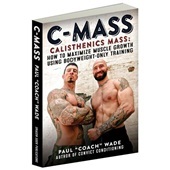 CMASS is what did it last year - having been a lurker on Dragondoor since 2005 I liked the look of a lot of things but never enough to commit to buy - afterall, I've been around the block, have read & given away more books on exercise than most people have bought & have kept a shelf of around 20 books that I think are the best. I re-read them occasionally to remind myself of the things I like the most. I liked CMASS the best of anything I've read. I stand by that. Of course, if you're a fan of Coach Wade it's hard not to notice the Kavadlo brothers & once introduced their own honest delivery of a positive message is welcoming. I like a bit of Zen. I had an artist friend who was into it in a big way & he gave me his favorite book on it before he died. We used to have very random conversations about art, science & mysticism. I'm not a believer in doctrines or a practitioner of religions. Zen appeals to that being in the moment when all the distractions are gone & there is nothing left to think about but the here & now. I had that swimming in the English Channel - 21 hours & 25 minutes of continuous effort with all my thoughts exhausted after 18 hours. The last few hours were just a mantra of "Yes, yes, yes," (pre Daniel Bryan I might add) & that eventually gave way to a complete focus on taking the next breath & turning the arms. I've done other significant efforts that have produced similar clarity. If you lift up a car & hold it for as long as you can, time distorts in a strange way as your muscles & joints compress & your head begins to feel like an orange being squeezed. I remember thinking a mass of random thoughts that were suddenly expelled to a moment of clarity, possibly enlightenment. Someone shouted a time check "Ten seconds" & I startled with an internal "What?" I had been lost & it had felt like an eternity. After that I asked them not to call out the time, & counting breaths & looking at the sky usually got me a minute of something offworldly before the reality of pain became too compelling to continue. I have experience in many physical pursuits & was never the best at any of them. I'm a practitioner, a participant, in for the long term. A farmer I worked with once described me as a student of physical culture, that was the first time I'd ever heard that term. All exertions produce some unique mental effects, most of which can be attributed to chemical changes due to the effort involved. The focus of the will should not be discounted though. The majority do not do it, preferring more sedate pastimes with easier gained rewards, so honest discussion of such things is limited in everyday experience. I don't know if Zen Mind Strong Body taught me anything specifically, rather it was more a purchase to share some ground with Al Kavadlo who is an admirable individual. If I were starting out with no idea it would be revolutionary, an ideal gift for an impressionable drifter that I was seeking a concept on which to hang a physical commitment on. I spent my youth in libraries & book shops trying to find books like these & the search was often fruitless. Now we have the internet & x million titles. Being discerning is the new challenge. Excellent recourse of fitness philosophies, ideas and even some calisthenics tutorials. 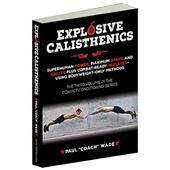 Its a perfect read for anyone getting into calisthenics and doesnt know how to approach it. "Oh no not a book that makes me think ... " ;-) ok for me that is important, if I read a book and do not have to think about it it was just a wast of time. That means you are already familiar with all the contents or that it was boring. Happy me that is not the case with Al?s book. If a book inspires you to make up your own mind it makes you grow. I read it in the right type of mood, as I had to lay down my training for a couple of weeks, no sports allowed at all. So I was very thankful to read a bit more about the philosophical side of training. That motivated me to keep calm and to concentrate more about the "inner values" of my practice / training. Side note: The book will be a great present for someone for whom physical practice (sports) became a part of his life. This eBook is classic Al: accessible, fun, VERY helpful, and easy to read. Ten bucks to download this treasure trove of articles is a fair price; however, as the author himself says, most of the information contained within its pages is available on his www.alkavadlo.com website. If you're patient and willing to look through his archives, it might be a better/more economical deal for you to do so. If you want quick and easy access to some of his best articles, this book is for you. Nothing new or groundbreaking within its pages, but an enjoyable read nonetheless. 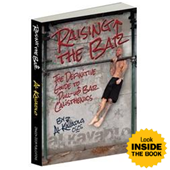 First off, Al Kavadlo is clearly a gift to all of us who pursue calisthenics/CC training. The reason for my lower score is that I felt a little mislead by the title. The book is actually a collection of essays on a wide range of topics. While the insights were interesting, if you follow Al's writing on his blog or on Dragon Door Forums you may have already seen these pieces. I sincerely hope that Al writes an entire book about a "Zen" approach to training. The ebook was worth the cost, but it pales in comparison to other works (including his own) in my opinion. Good to get prespective on how Al thinks and trains. 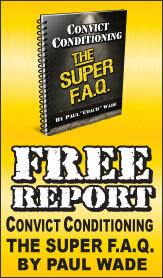 Good information that can be read multiple times to get a lot of tips to improve the way you live and train. Rated 10/10 Read it, Internalize it, USE it . . . I know basically all of Als's comments and suggestions can be found elsewhere but do yourself a favour and get this book. For me . . . I found it easy to follow for several reasons. True, the comments are reasonable, logical and sensible. But more than this, the style of writing FELT like we're just a couple of ordinary folks having genuine 2-way conversation down at the park. Al treats his readers . . . all of US . . . with RESPECT as individuals.